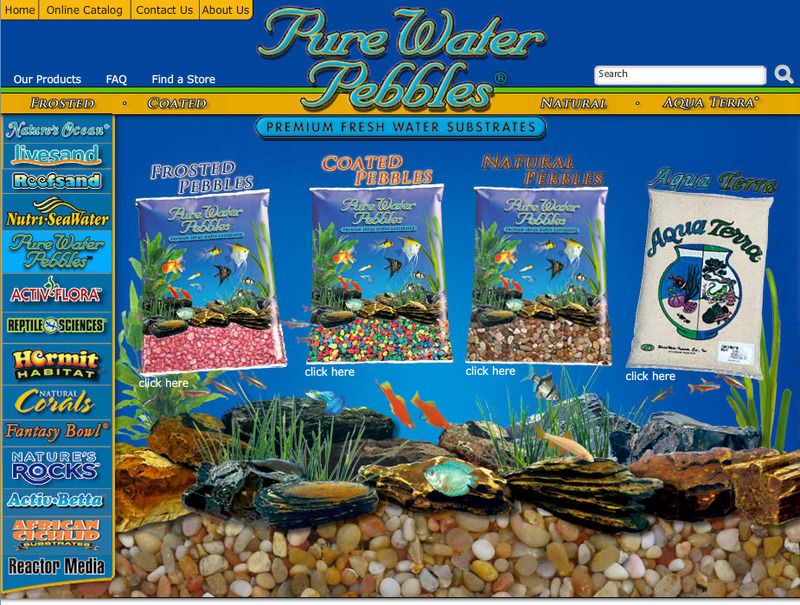 Pure Water Pebbles is your one stop source for all freshwater and saltwater aquarium gravel, aquarium substrates and aquarium sands. 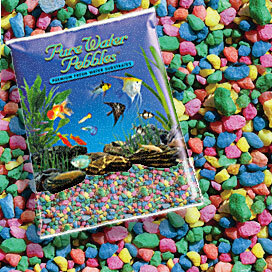 Aquarium Gravel and Color Coated Aquarium Gravel for: your aquariums, ponds, gardens and architectural surfaces. Heat sanitized, hand washed, safe for your fish, and ready to be added to your aquarium. 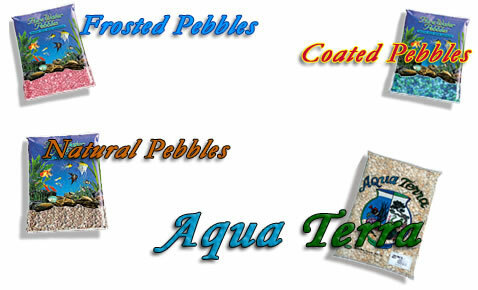 We carry natural, artificially colored and acrylic coated types of gravel, stones, pebbles, rocks and sand. Our substrates come in a wide range of sizes, shininess, and color for you to choose from. Colors include many shades of blue, tan, grays, and beautiful red hues. 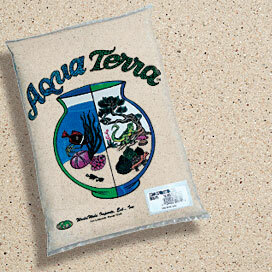 All of our substrates look great in any size aquarium. 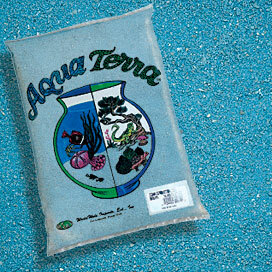 Perfect for aquascaping in freshwater fish tanks. These all-natural types of gravel are a great alternative to using artificial plastic or rubber ornaments. 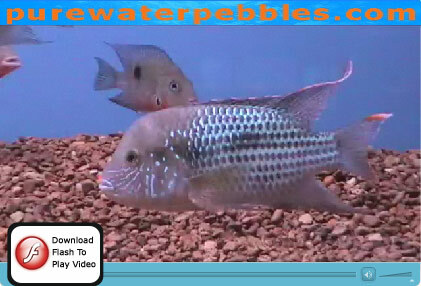 Pure Water Pebbles aquarium gravel helps to bring out the colors in your fish and the tank back ground. 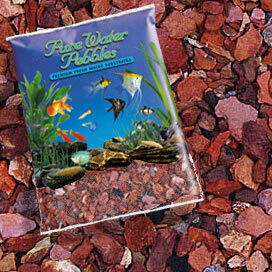 Our aquarium gravel helps make a more realistic living environment for other pets such as reptiles, amphibians, hermit-crabs, lizards, and snakes. Natural Gravel. 100% Acrylic Coating. Will not adversely effect the chemistry of your aquarium water. Non-toxic. Colorfast. 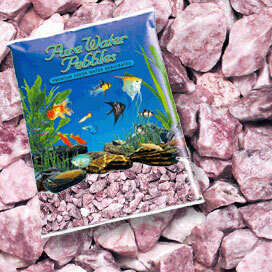 Our premium coated pebbles adds a beautiful touch to your aquarium or fish tank. 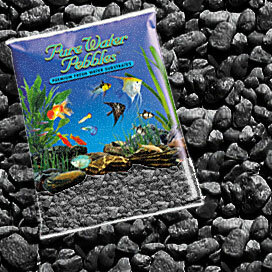 Designed specifically for use in freshwater aquariums, our gravel will not alter the chemistry of your aquarium water, and provides a great place for beneficial nitrifying bacteria to colonize. It provides living space for beneficial microbes and anchoring for plants. It also helps with the filtering process of the water in your aquarium tank by increasing the surface area available for nitrifying bacteria to colonize. 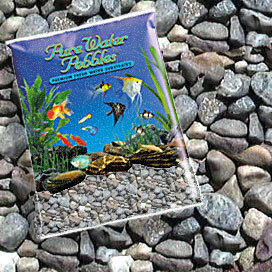 Our coated pebbles are great to be also used around your Planters, Ponds. Terrariums. Gardens. and Landscape. 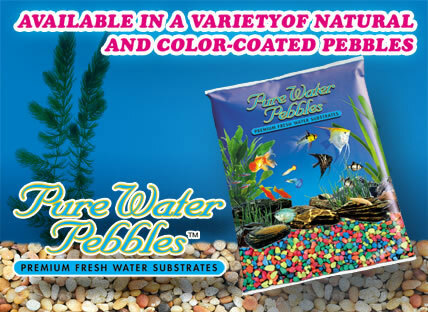 Whether you’re looking for a bright and colorful substrate or something natural for your project, PureWaterPebbles has exactly what you need. 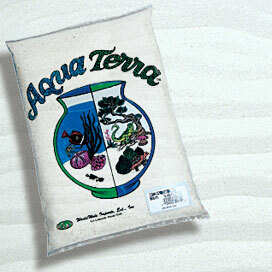 There are many benefits for using aquarium sand especially for aquariums. Most fish prefer our sand as their environment substrate, and some actually require it to feel at ease and for natural spawning behavior. Some fish use sand to help with their digestion. Our aquarium sand also has a very nice, smooth look and it is fun to watch the fish play in the sand that they enjoy so much. 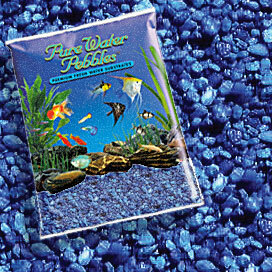 Aquarium sand is perfect for soft belly fish like sharks and stingrays. If you have sand sifters like Brittle Starfish, Serpent Starfish, Sea Cucumbers and other detritivores look for our live sands, which is used to remove toxic wastes from saltwater aquarium tanks. Live sand helps speed the natural nitrogen cycle of aquariums thereby allowing faster introduction of livestock. We can supply any amount of quantity needed for your project. Click here to find a distributor near you. Natural Gravel. 100% Acrylic Coating.Will not alter the chemistry of your aquarium water. Non-toxic. Colorfast.